JV Piat - functional pattern on topics on real estate topics from design studio ZooTemplate. For convenient site search SOBI2 component used with many useful extensions, which provide easy navigation using filters. Corporate rotator ZT Slideshow allows you to display the most important information at the top of the site and the module tabs ZT Tabs is a great solution for displaying categories. 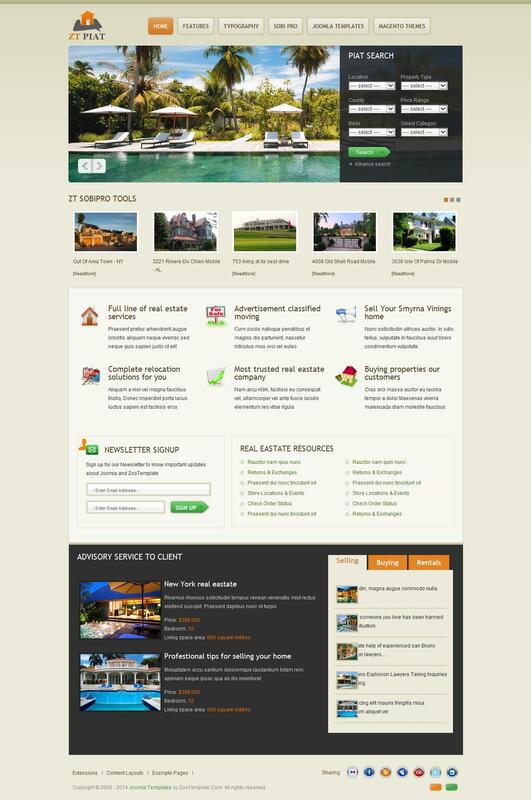 This template is perfect for creating korporaivnyh and business sites.